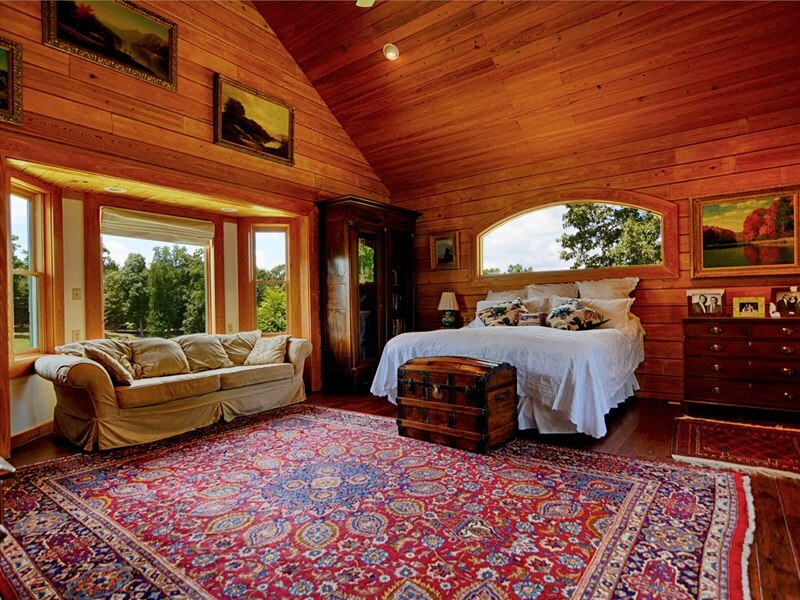 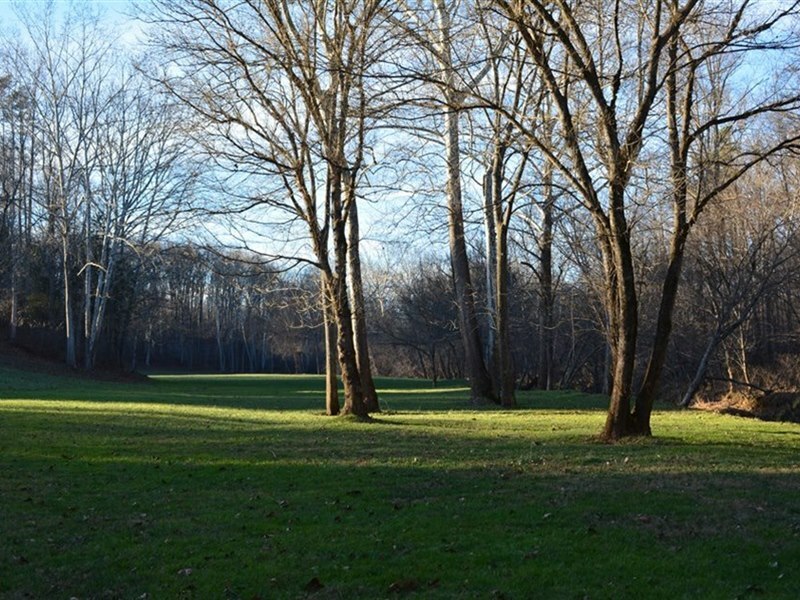 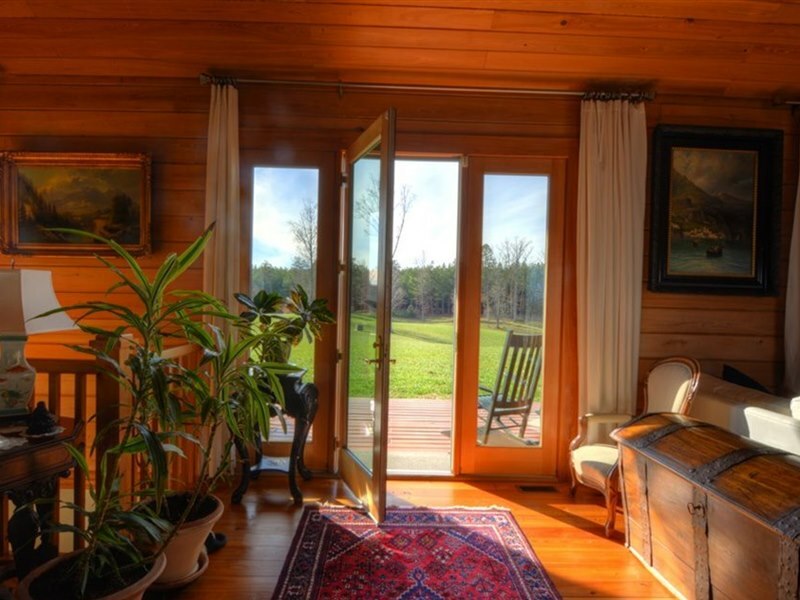 RiverView Farm is a sylvan dreamland-- a lush, verdant property in a beautifully wooded and private landscape. 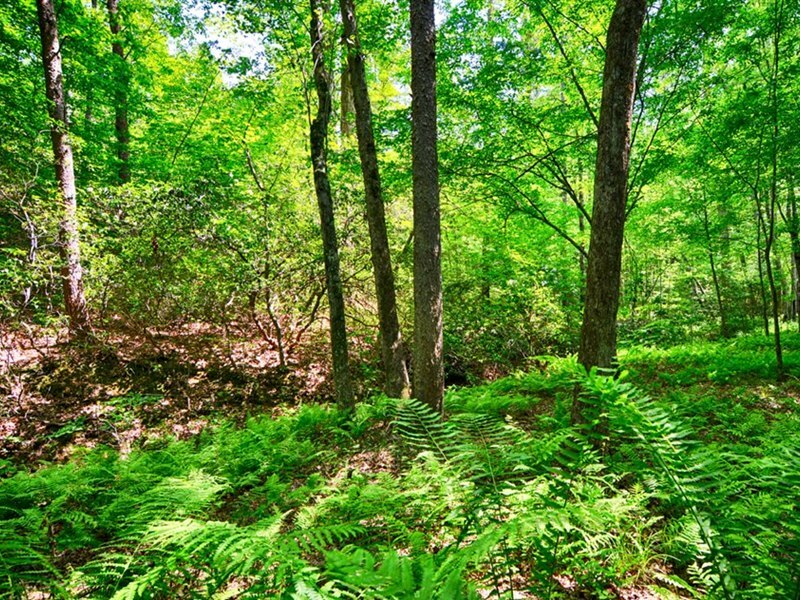 The property is surrounded by a unique old-growth forest and a combination of conifer and hardwood trees. 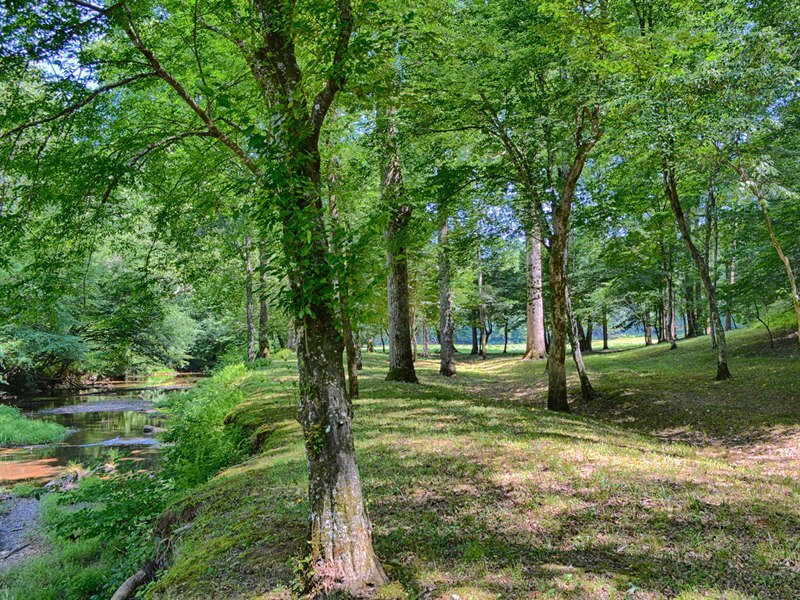 You'll enjoy miles of beautiful water frontage, including a meandering stretch along the North Anna River. 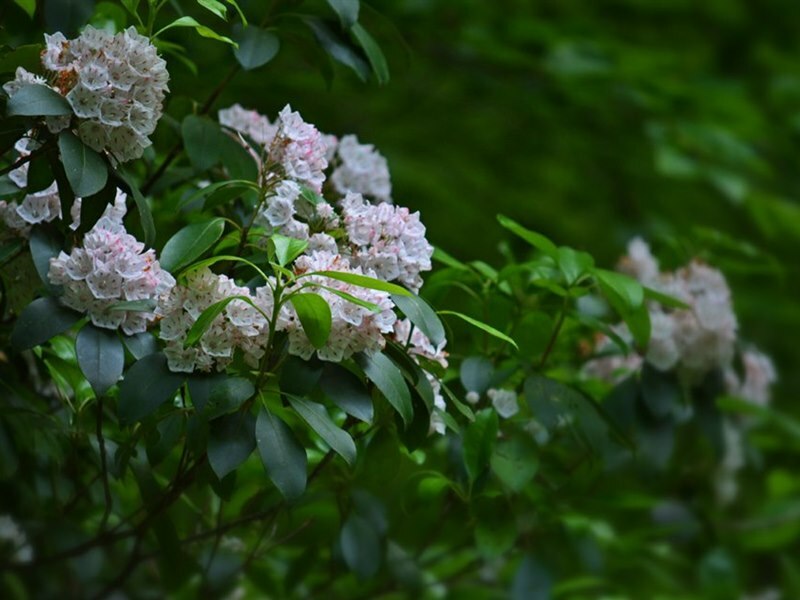 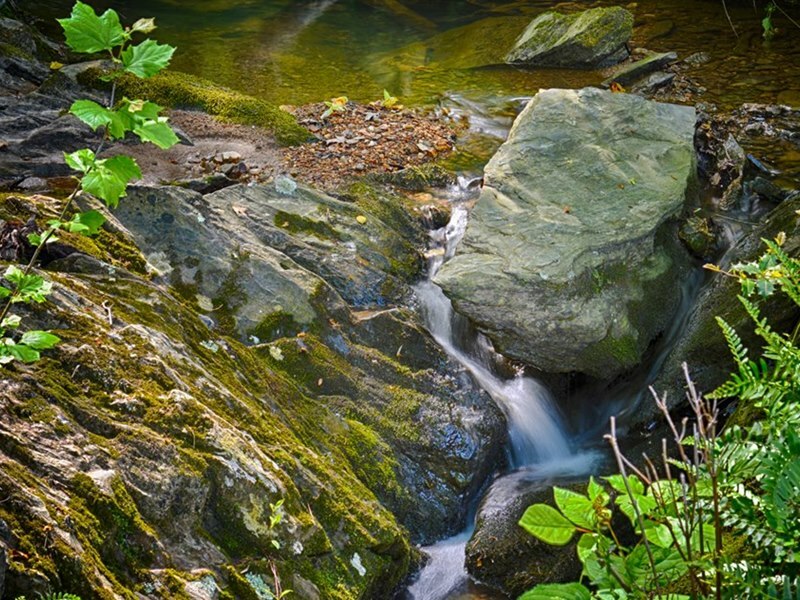 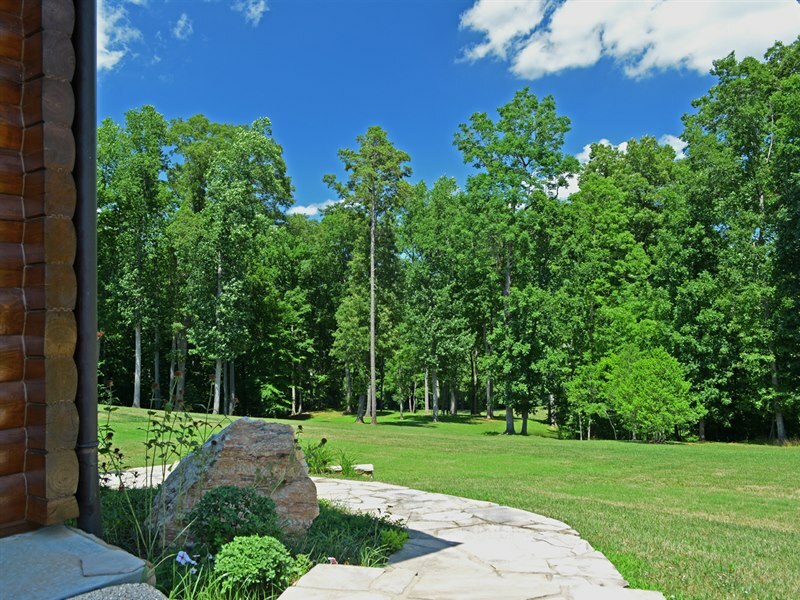 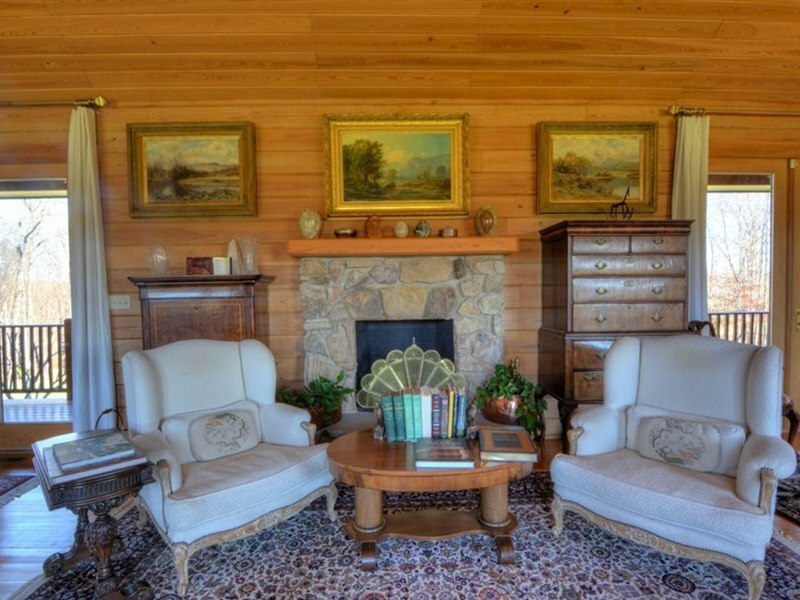 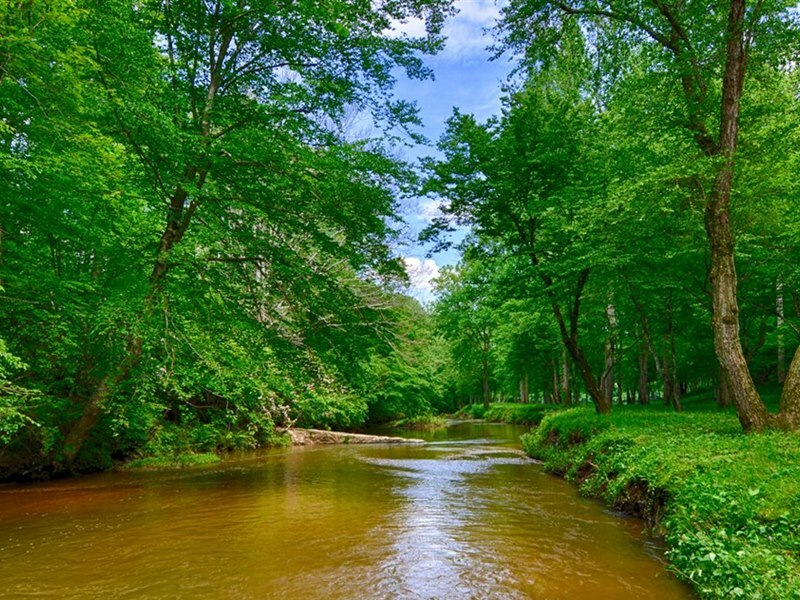 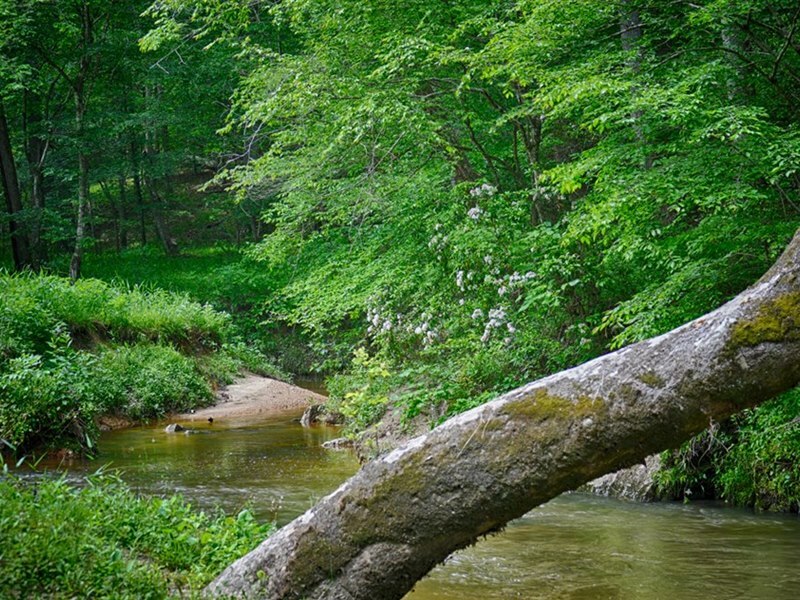 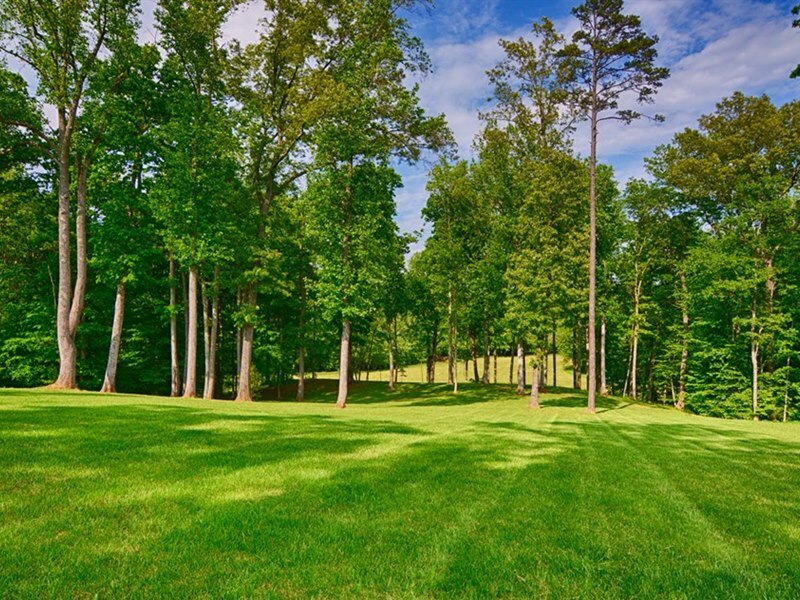 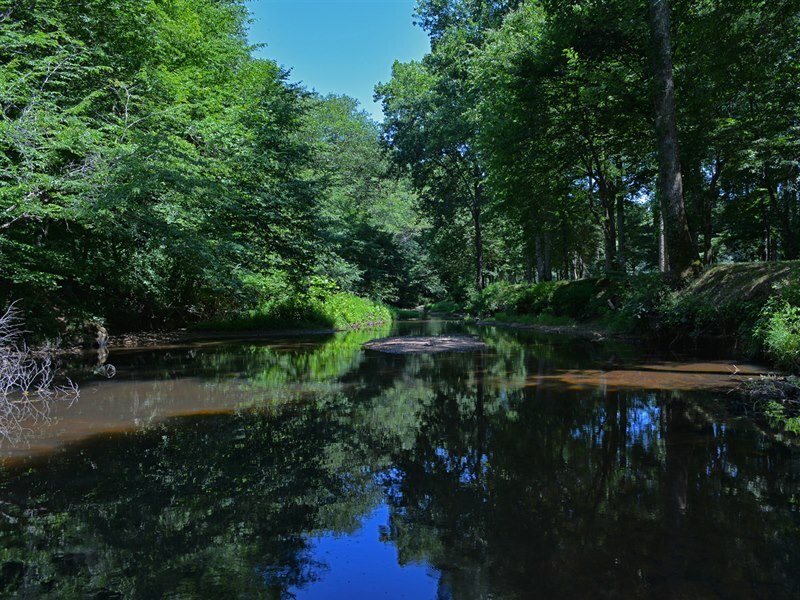 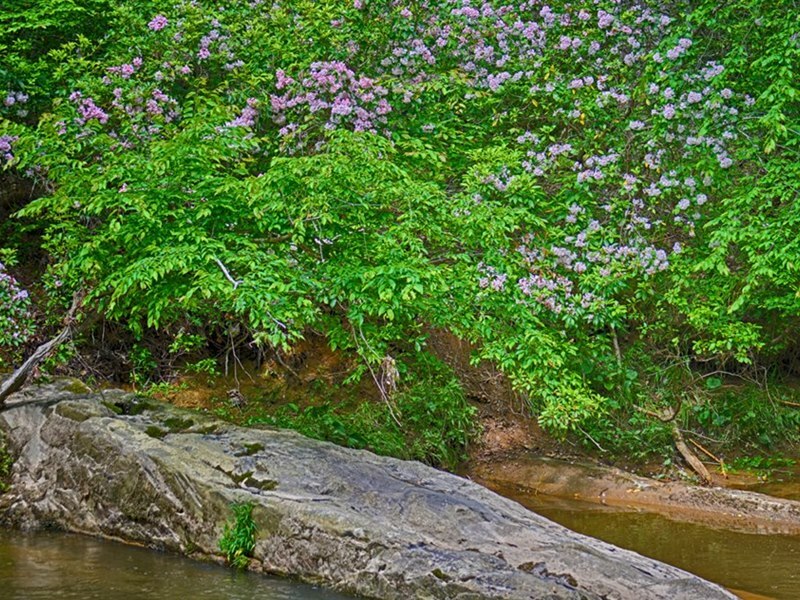 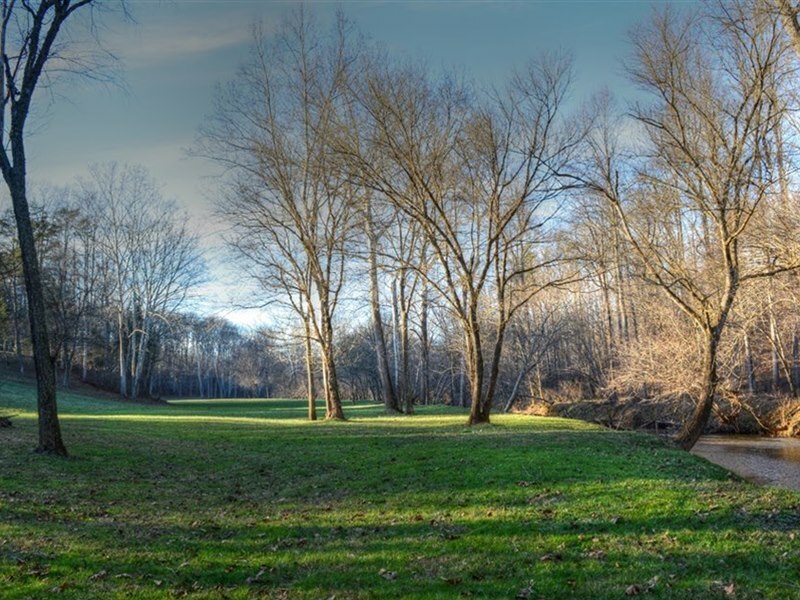 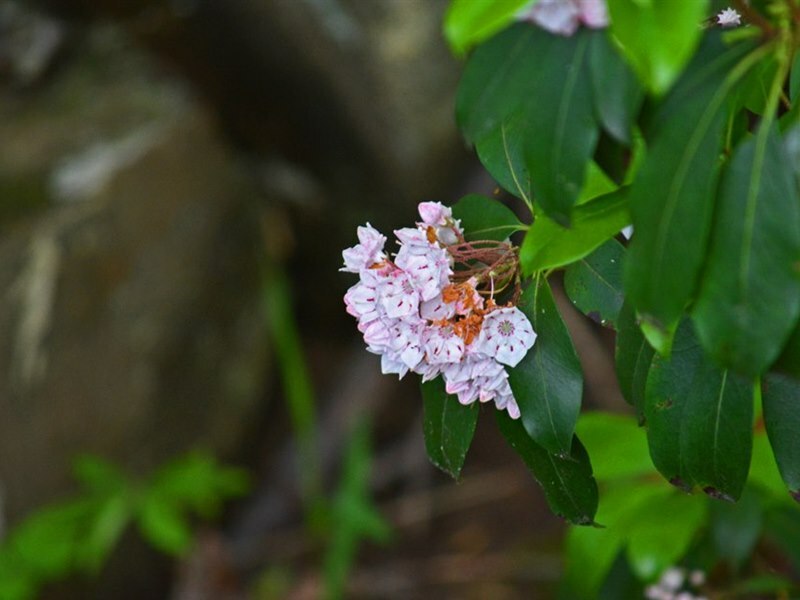 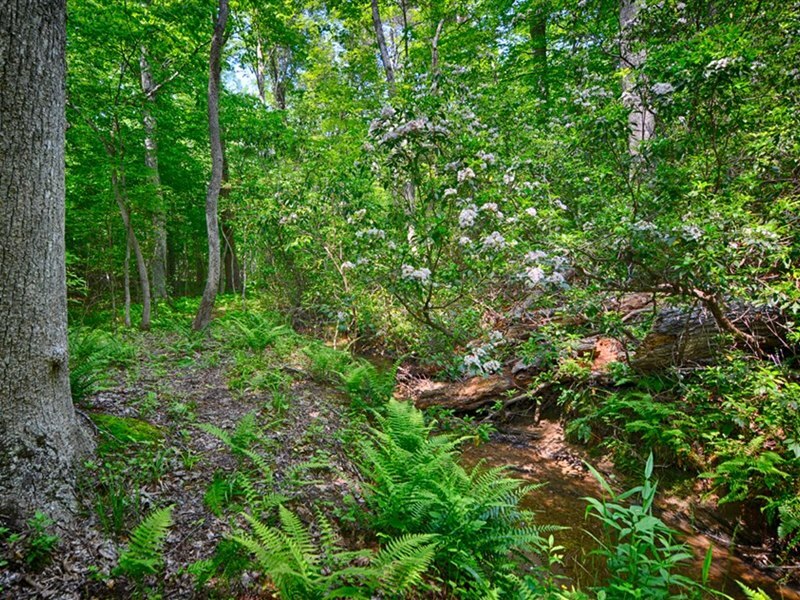 The property is flush with natural resources, from springs and streams teeming with smallmouth bass, to miles of solid trails for hikes or horseback riding, amidst dogwoods, redbuds, and other flowering flora. 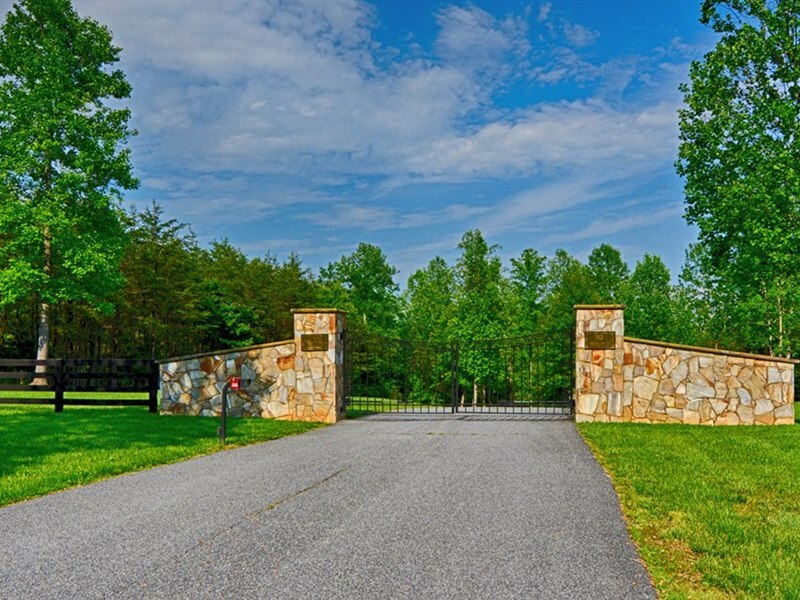 A private entrance with electric gate is the beginning of the half mile of winding paved driveway through the woods before opening up to the expansive grounds surrounding the home. 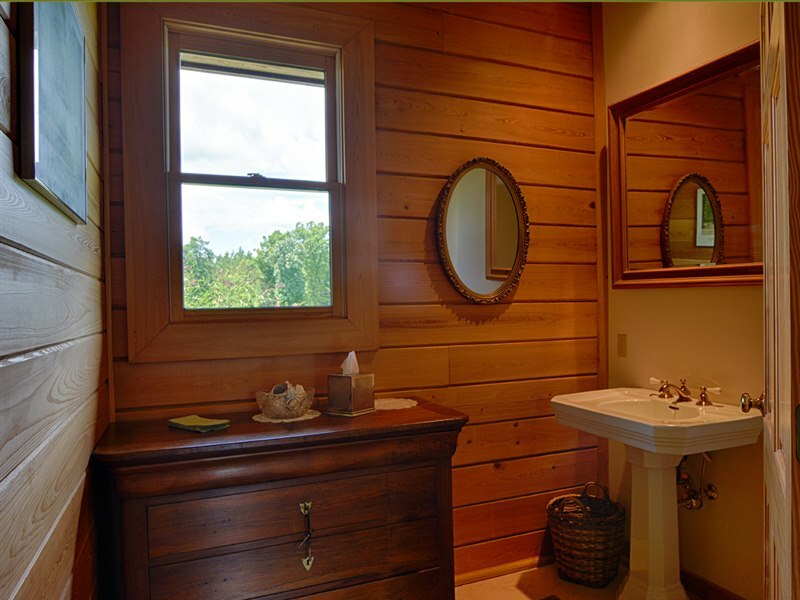 Seclusion, privacy. 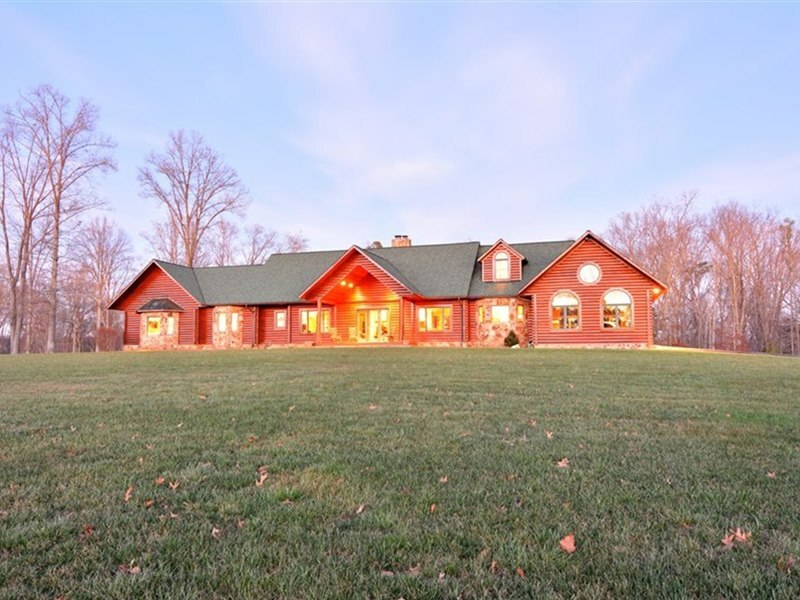 The home itself comprises 4500 +/- square feet of interior living space and totals nearly 6000 square feet when you factor in the three-bay garage and the plentiful porch and patio footage. 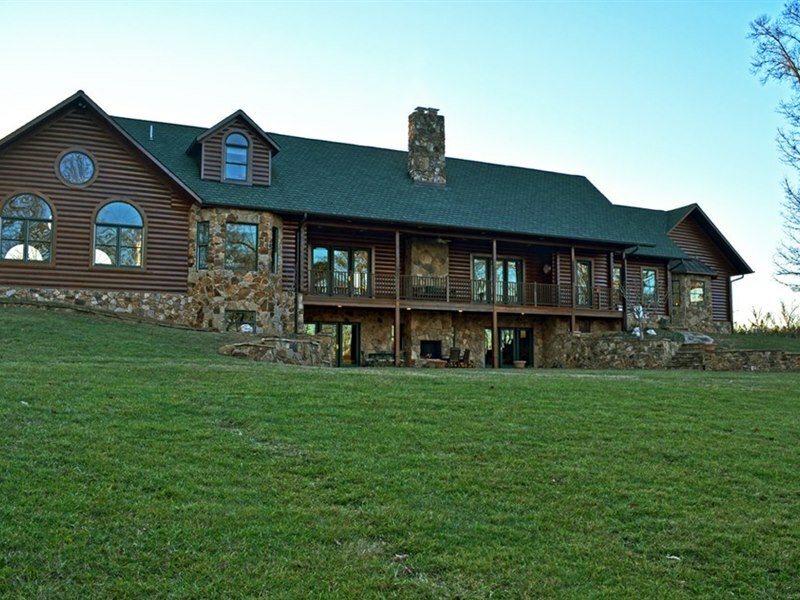 The beautiful home was built in 2003, constructed from tidewater red cypress wood and stone from West Virginia quarries. 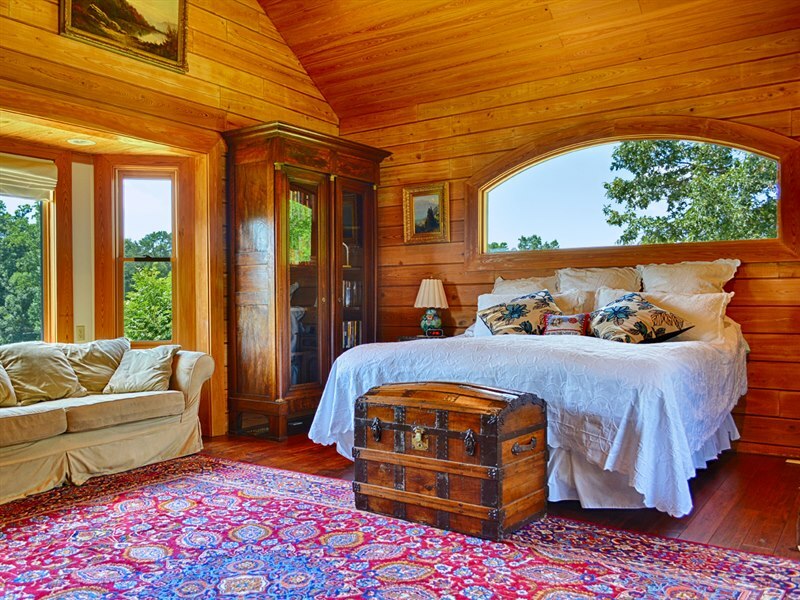 Copper was used for the bay window roofing, roof valleys, gutters, and downspouts. 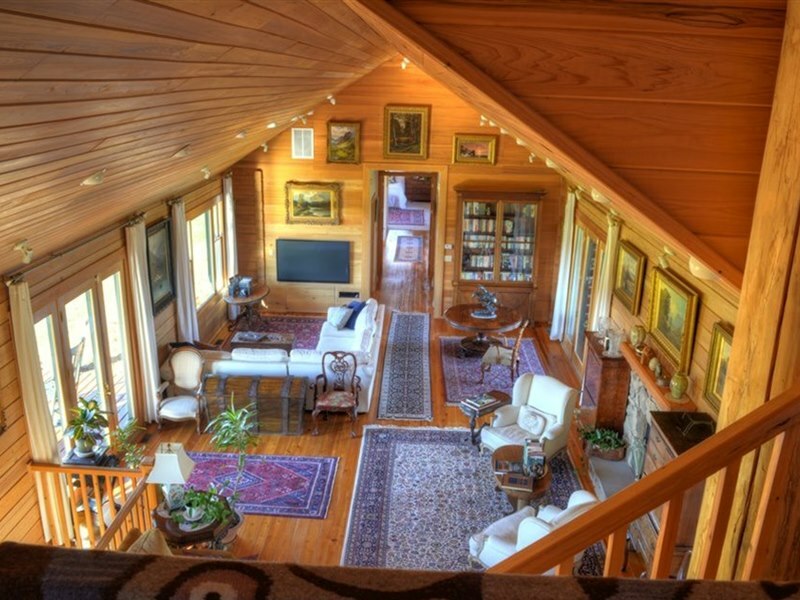 There are three distinct sections on the main level of the home. 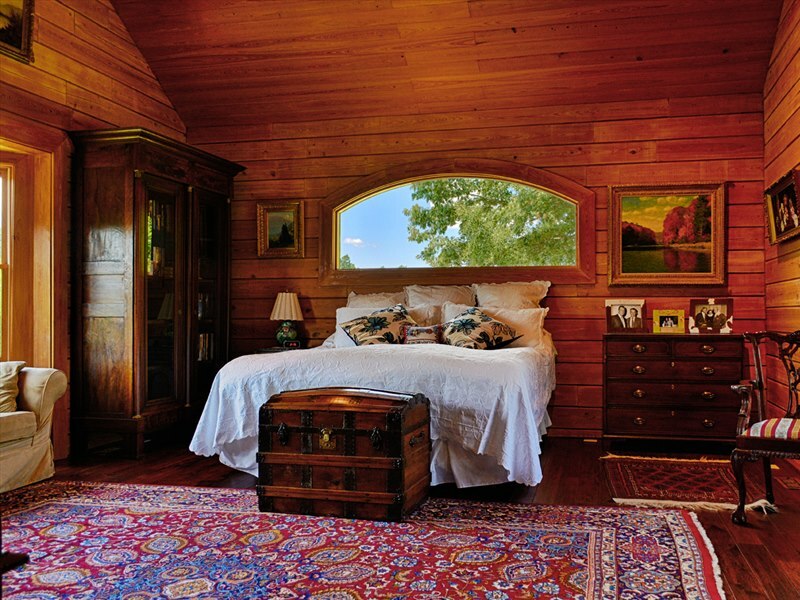 The regal master bedroom overlooks the park-like grounds with the rear bay window offering glimpses of the river below. 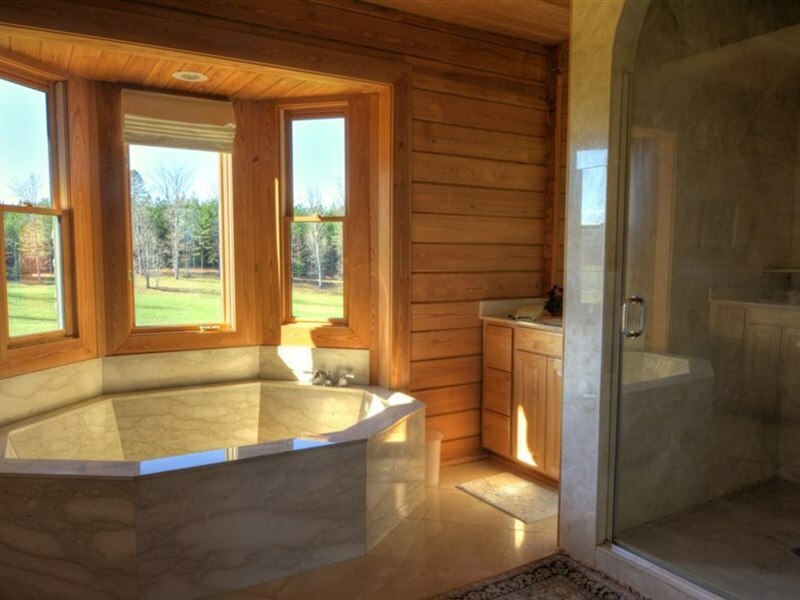 The master bath uses classic Italian marble for the tub and floors. 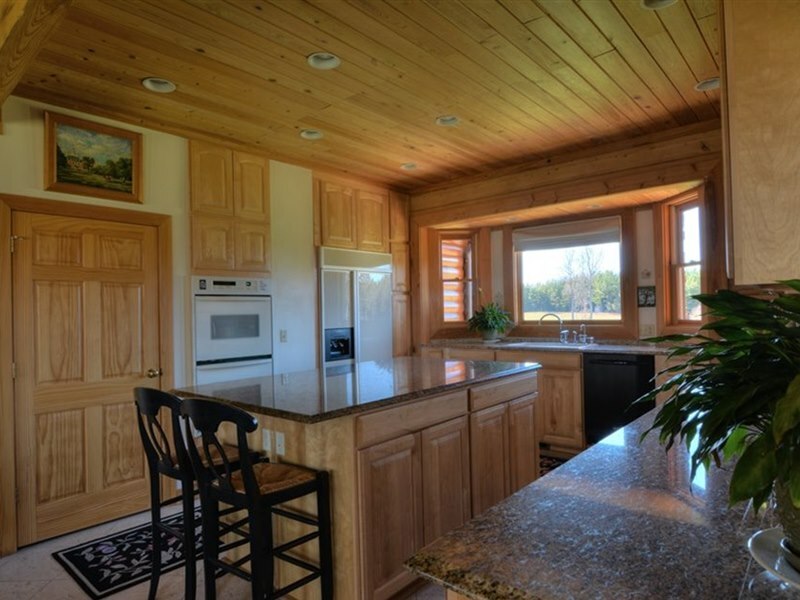 The kitchen is capacious and accommodating, allowing plenty of natural light to illuminate the granite counters, walk-in pantry, maple cabinets, and limestone floors. 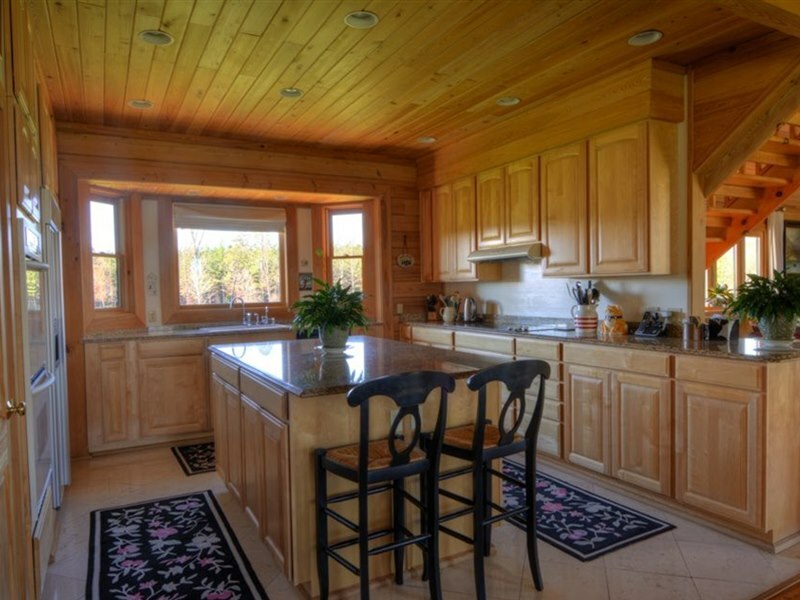 It also has a center island, evincing both elegance and efficiency. 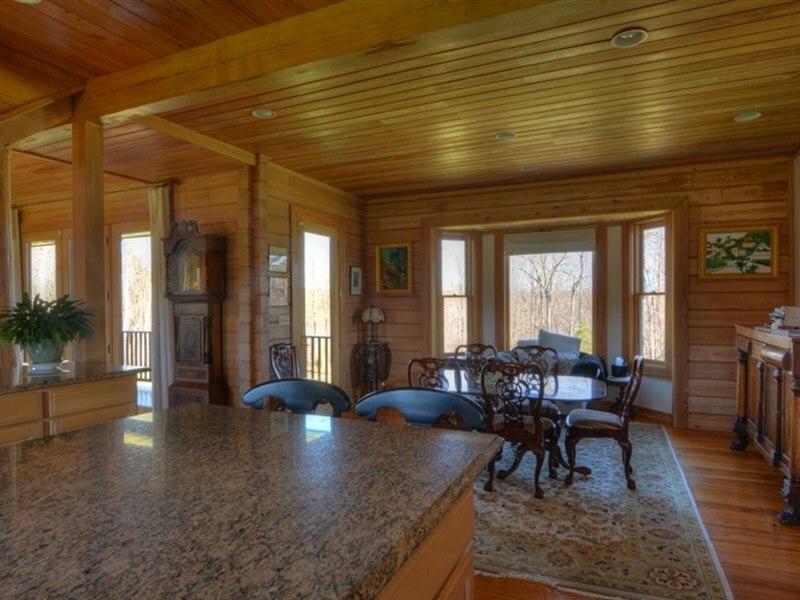 The kitchen extends to a dining room that boasts some of the most beautiful views of the property. 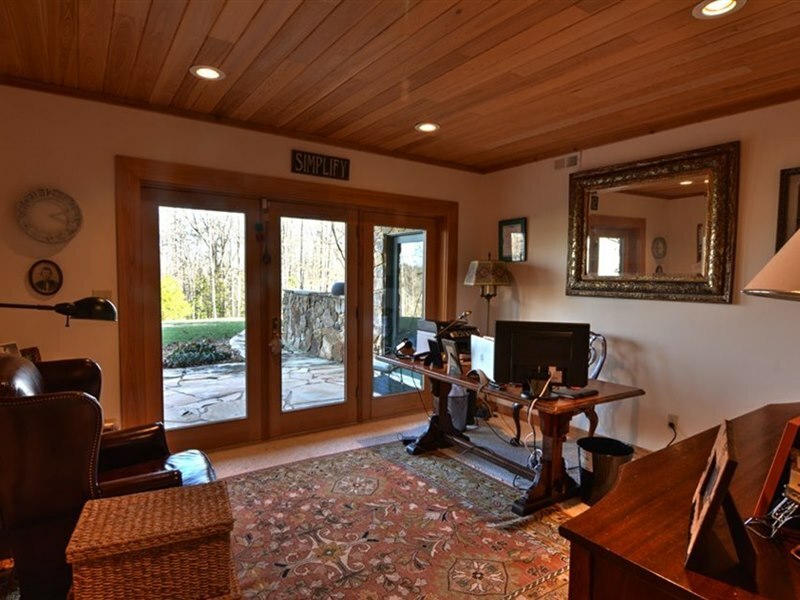 Between the master bedroom wing and the kitchen/dining wing, there is a stunning, almost cavernous great room with 16-foot ceilings, amber-colored walls, and an inviting stone fireplace. 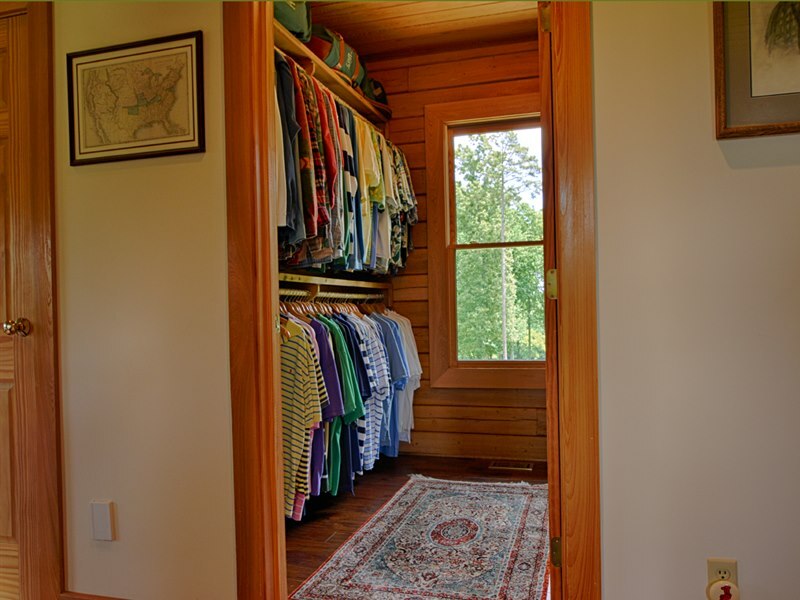 Completing the main floor are a laundry room, mudroom, and a half bath. 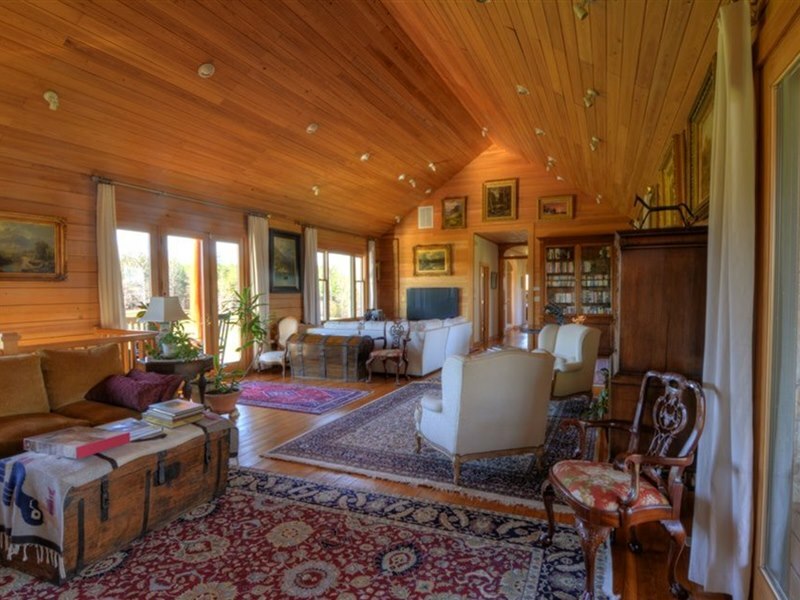 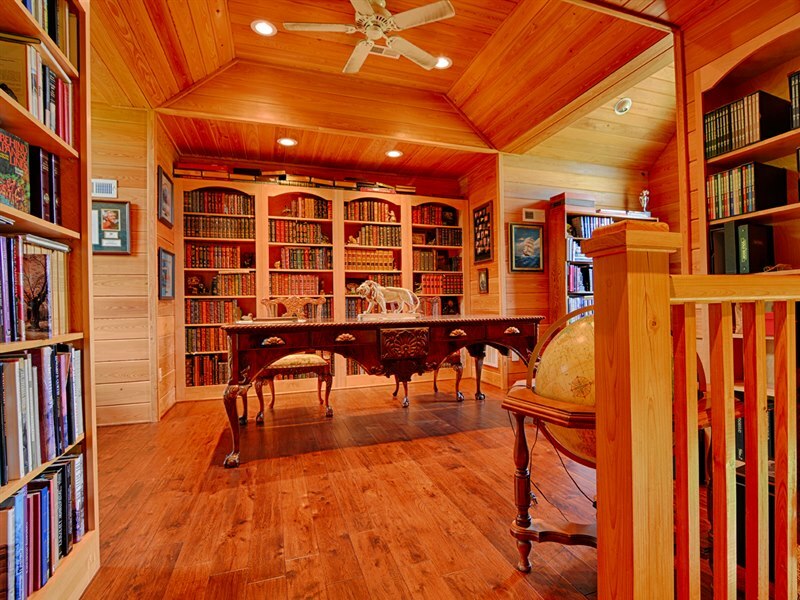 Overlooking the great room is an office loft with a large built-in bookcase. 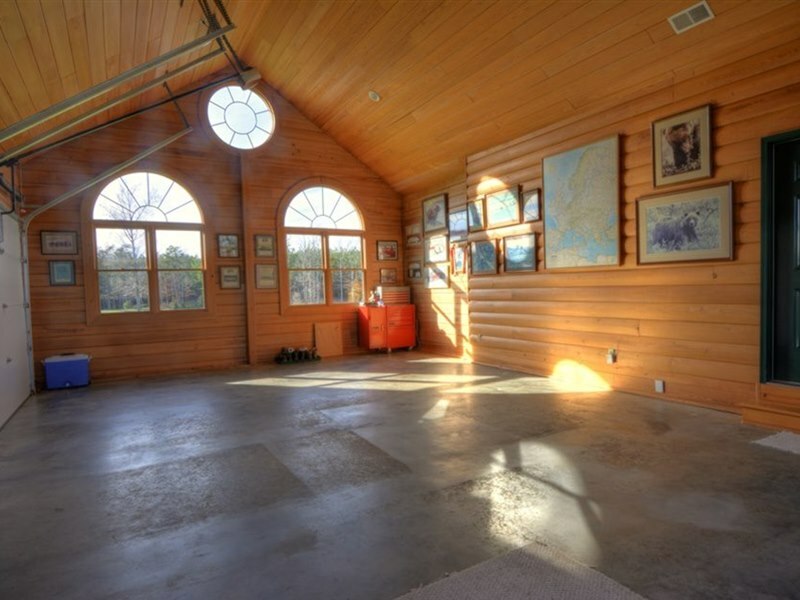 This room while currently used as an office, could be a library or additional guest room. 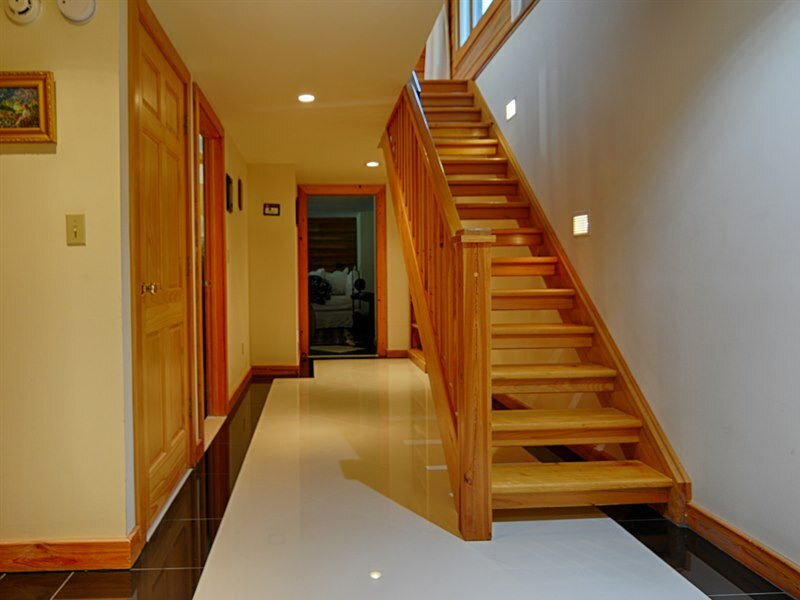 On the terrace level, you will find two bedrooms which share a bathroom and a fourth, larger room that may prove useful as a TV/entertainment room. 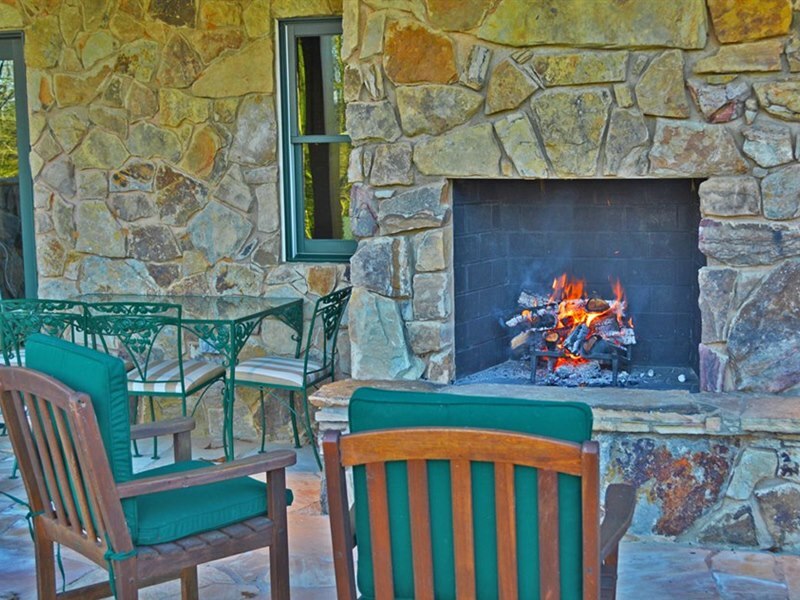 Each room on the terrace level has a door to the lovely stone patio with an exterior fireplace. 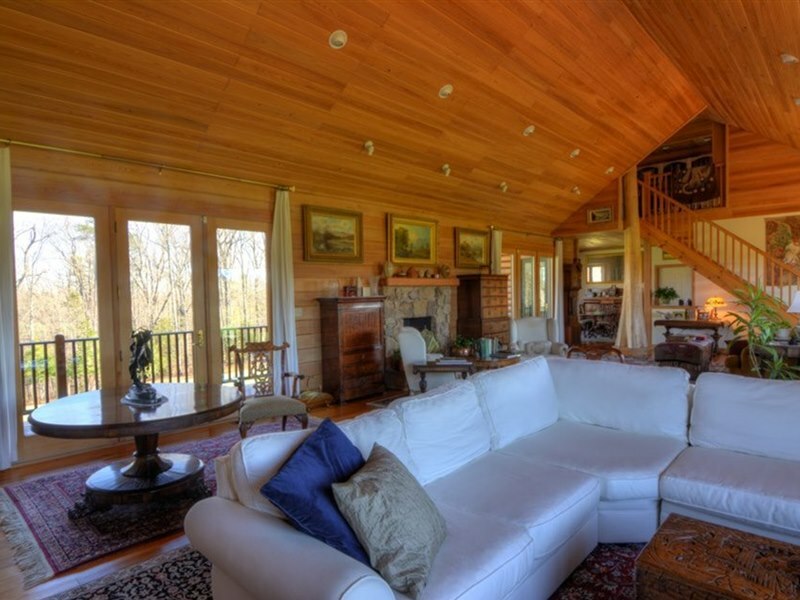 This is a wonderful area for entertaining offering beautiful views of the river below. 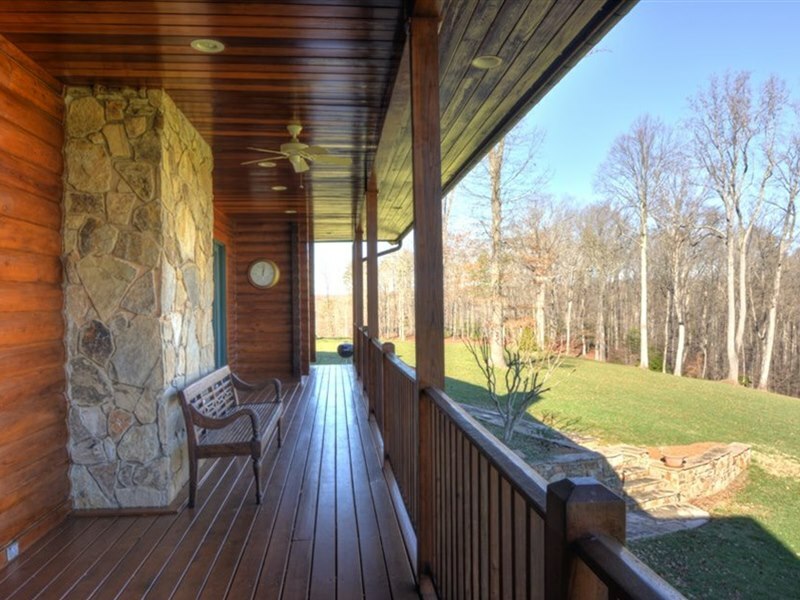 There are also multiple porches and decks from which to enjoy the bucolic nature of this property. 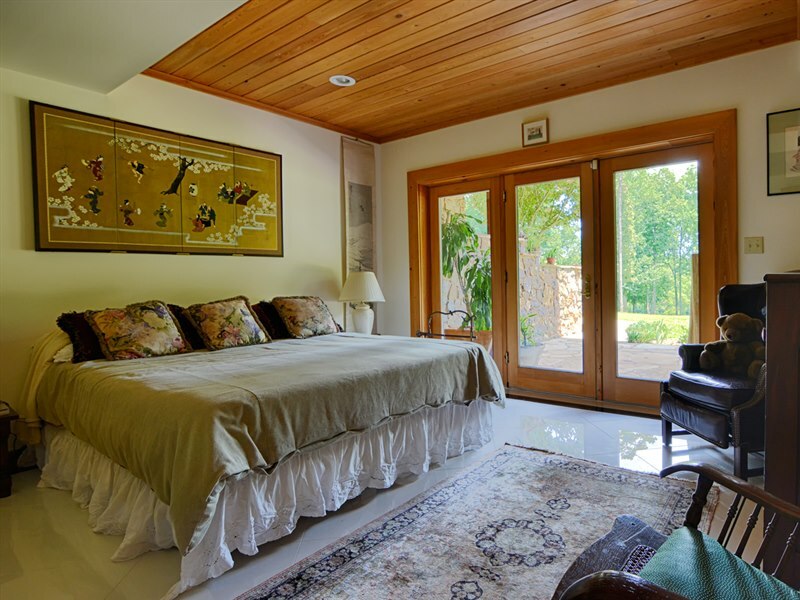 The property has been well-loved since its inception, with the owners and their staff regularly maintaining the grounds in its park-like condition. 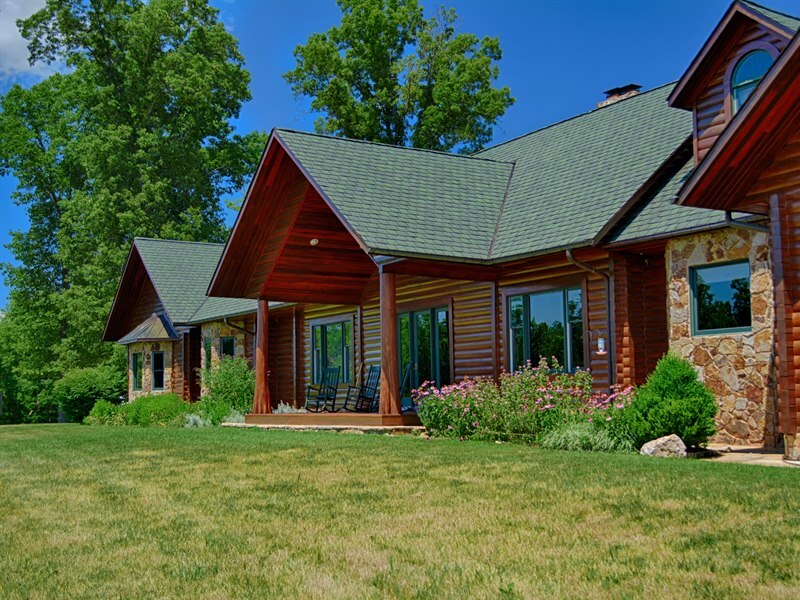 The current staff, who live off the property, are prepared to stay on should the new owner desire. 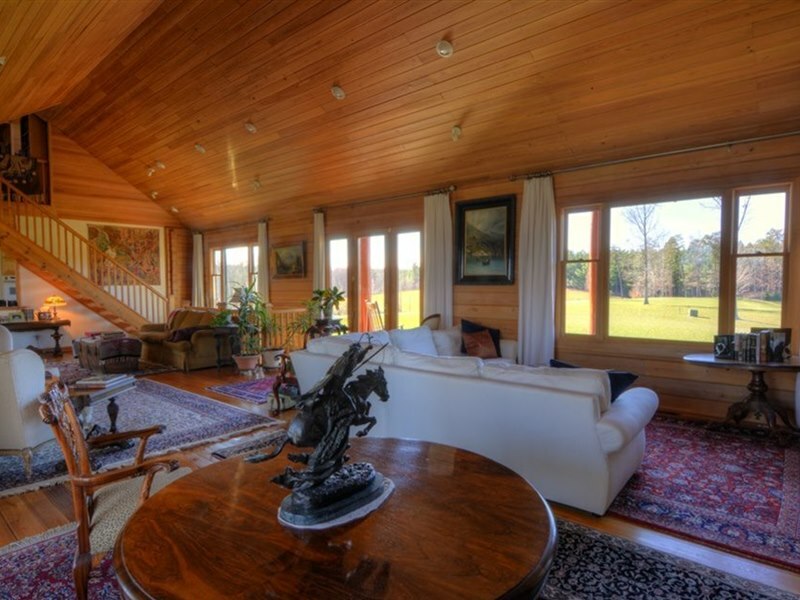 RiverView Farm is a flexible space: its fertile soil and abundant water sources mean it could support equestrian infrastructure or organic farming. 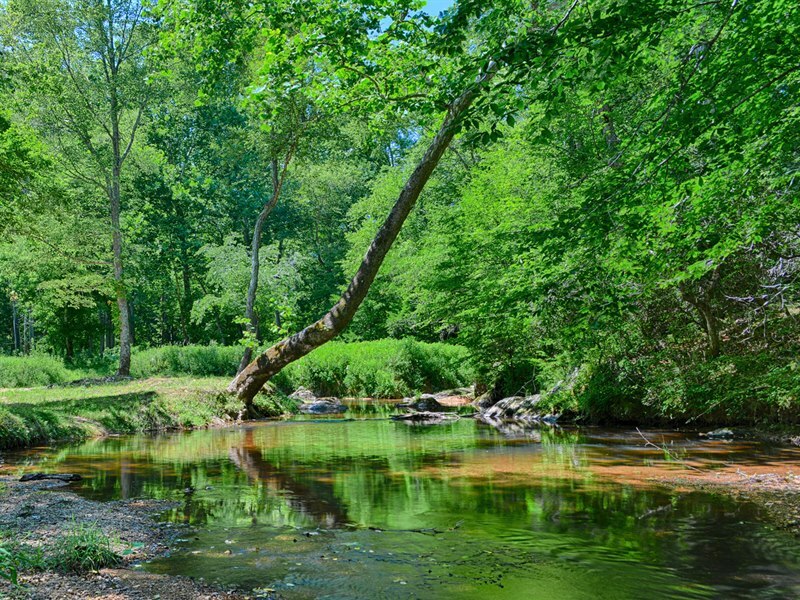 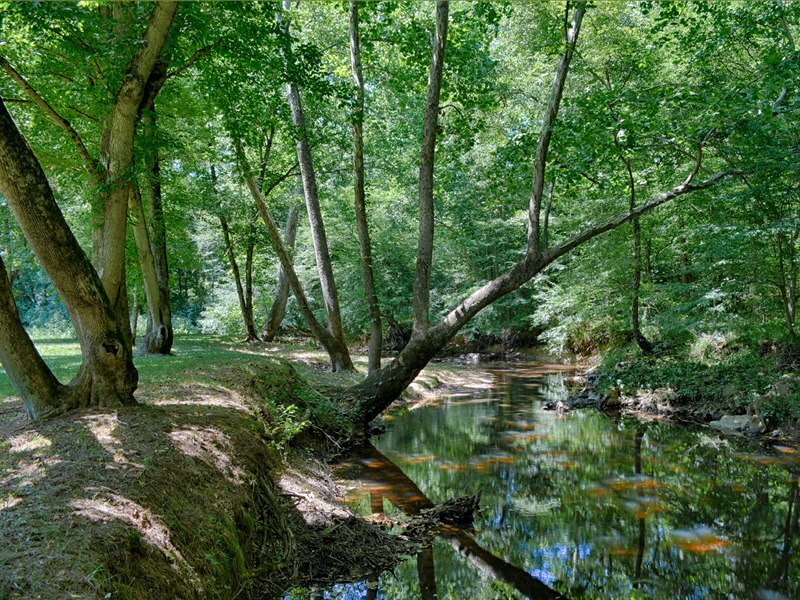 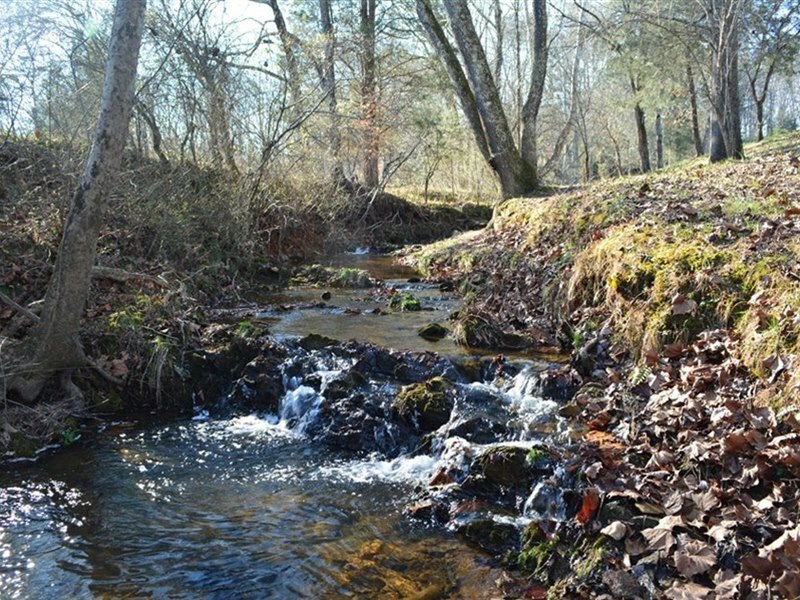 The property, like many of its neighbors, is protected by a Virginia Outdoors Foundation conservation easement. 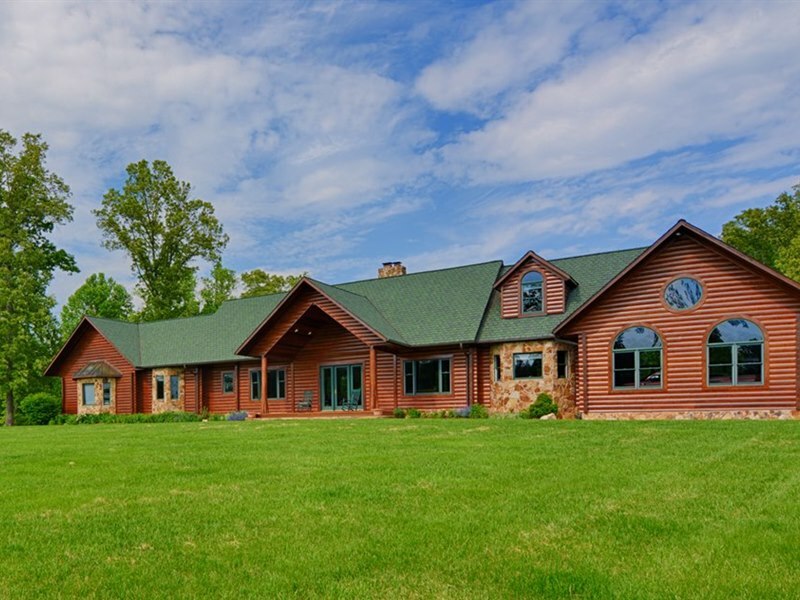 Located in Orange and Louisa Counties. 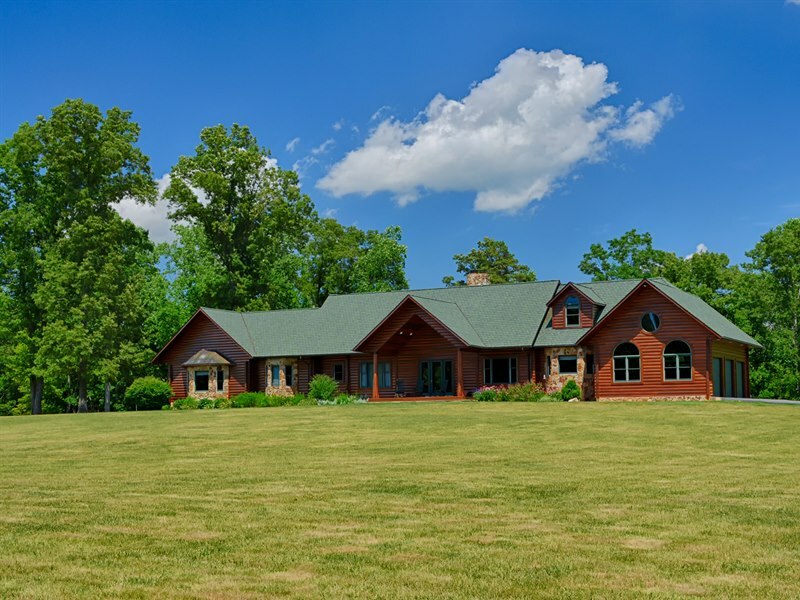 For a showing or further information, contact Gayle Harvey by email or at 434-220-0256. 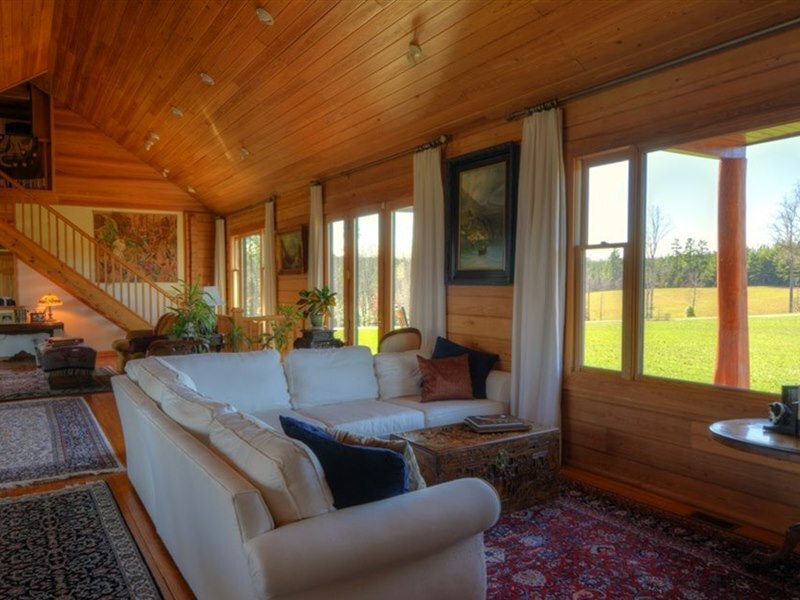 RiverView Farm is a nature lover's paradise. 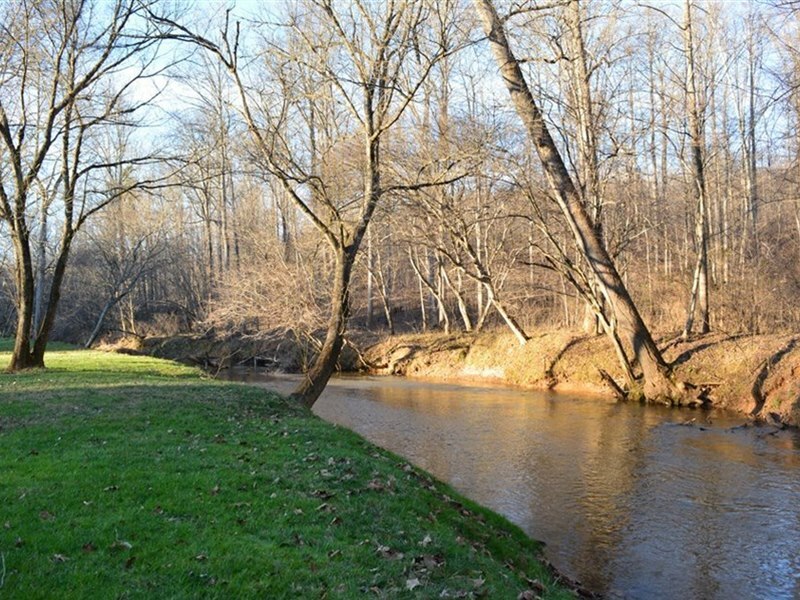 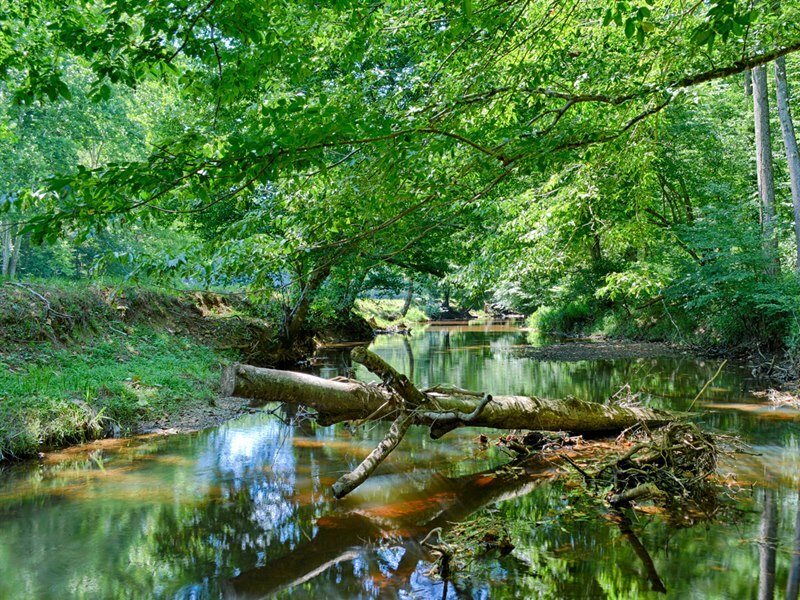 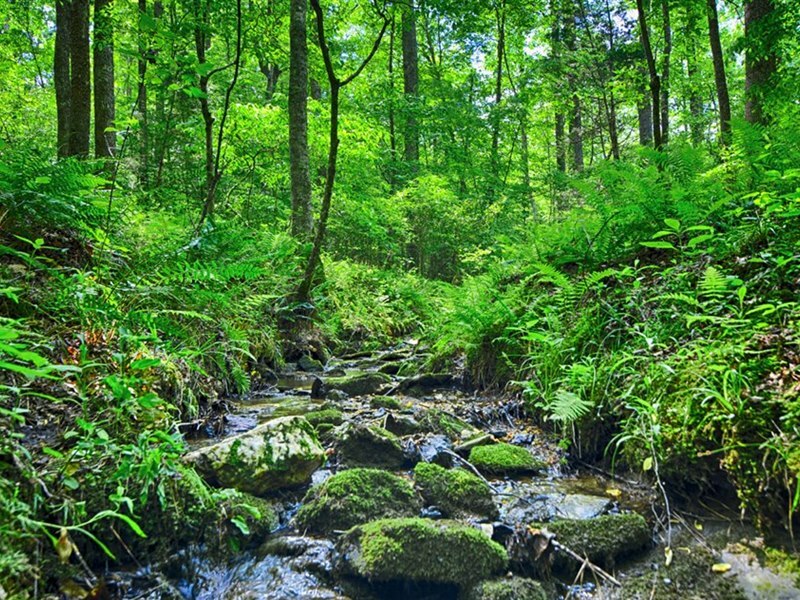 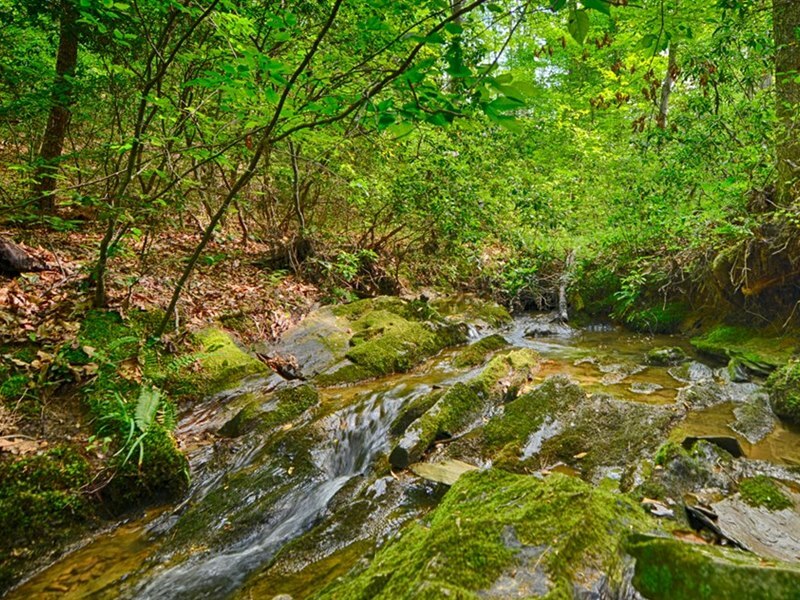 Watch the video below to see the beautiful creeks, streams and river on this property.